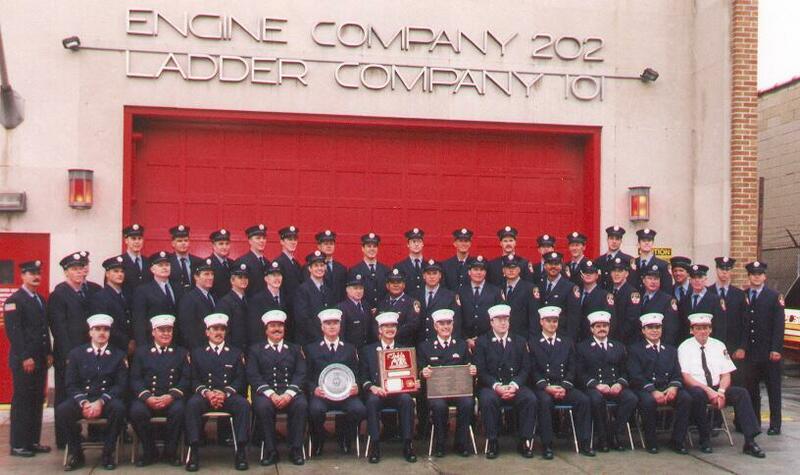 Located just outside the Red Hook, Brooklyn end of the Brooklyn-Battery tunnel, this firehouse was one of the first firehouses to respond to the September 11, 2001 attack on the WTC. 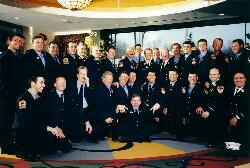 On that day Ladder 101 lost all seven men who answered that call. Their brothers from Engine 202, who also answered that call, were uninjured. Both the engine and ladder trucks were destroyed. 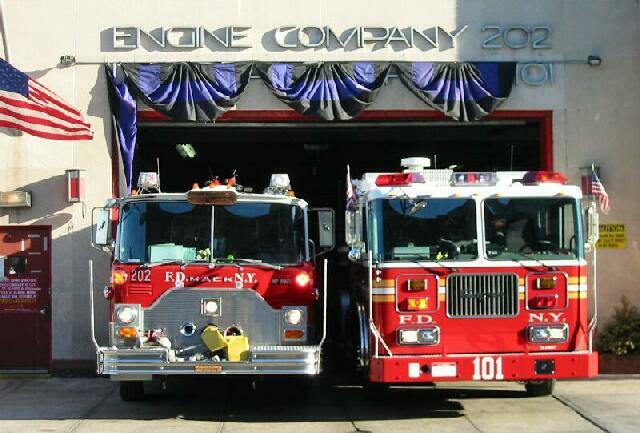 This website is dedicated to documenting the story of this firehouse. 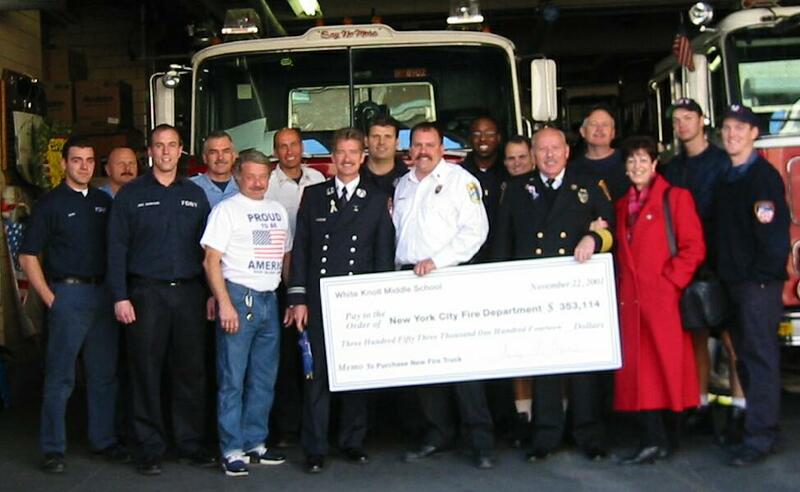 Thanksgiving 2001, the firehouse accepts a check for $354,000 (ultimately more than $500,000 would be raised) from the students of White Knoll Middle School in Columbia, South Carolina. 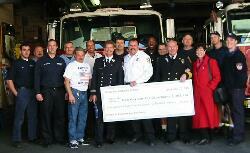 This money will be spent on new firetrucks to replace the two destroyed at the WTC. 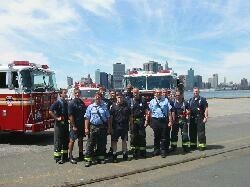 Engine 202, Ladder 101, Battalion 32 on the Red Hook Pier with Manhattan in background. 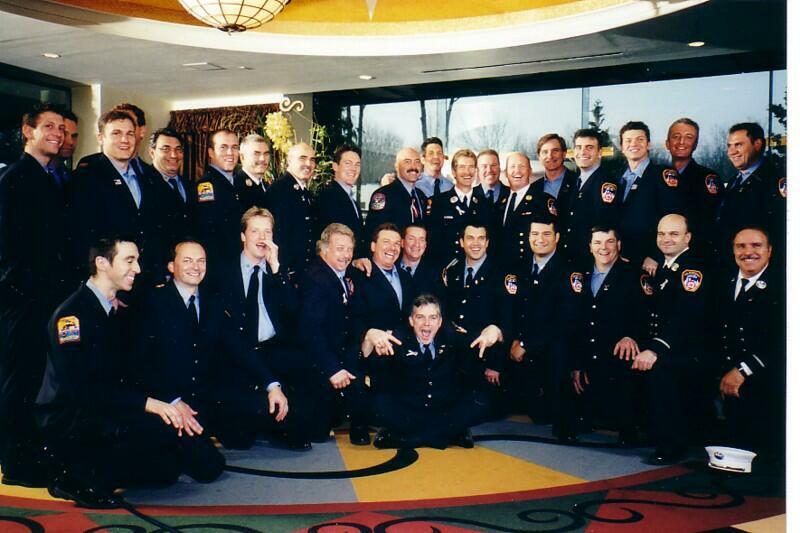 Pictured left to right: Bob Clark, Bob O'Neil, Captain Tony Tricarico, Gerry Hall, Maurice Scarinici, Tim Burke, Joe Williams, Eric Bernsten, Captain Ed Kearon, Ronnie Kingsley, Laslie Alvarez and Anthony Cole. 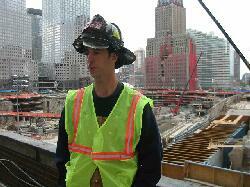 The WTC towers would have been seen standing tall over the lower left side of Manhattan. The Empire State building can be seen at the far right side. 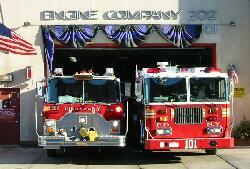 Engine 202 / Ladder 101 firefighters. Please view and sign our guestbook. Dec 11, 2001 - 2 more stories. Dec 13, 2001 - Store page. Dec 15, 2001 - 6 new photo galleries.